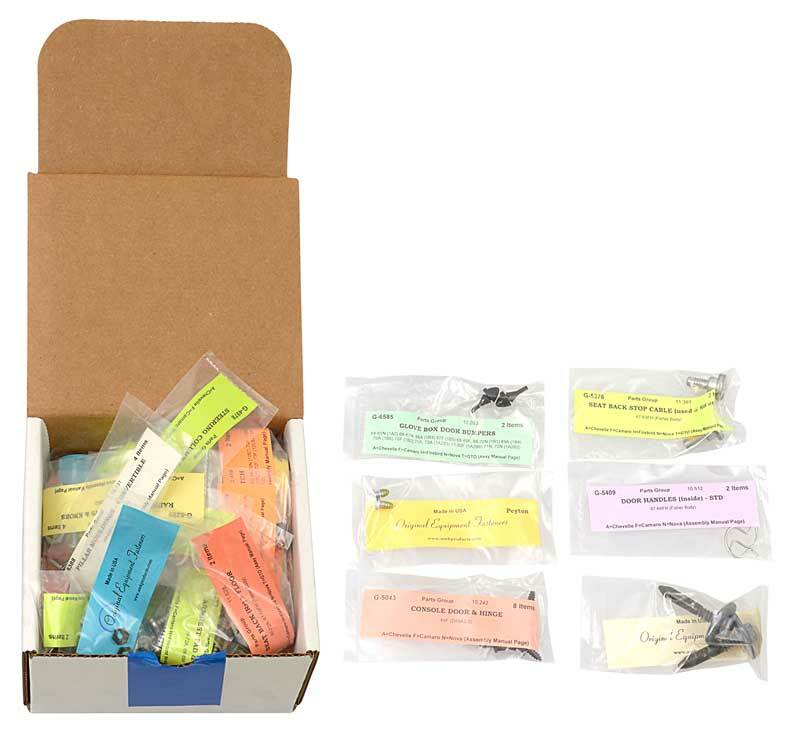 Classic Industries offers a wide selection of Interior Screw Kits for your Chevrolet Camaro. 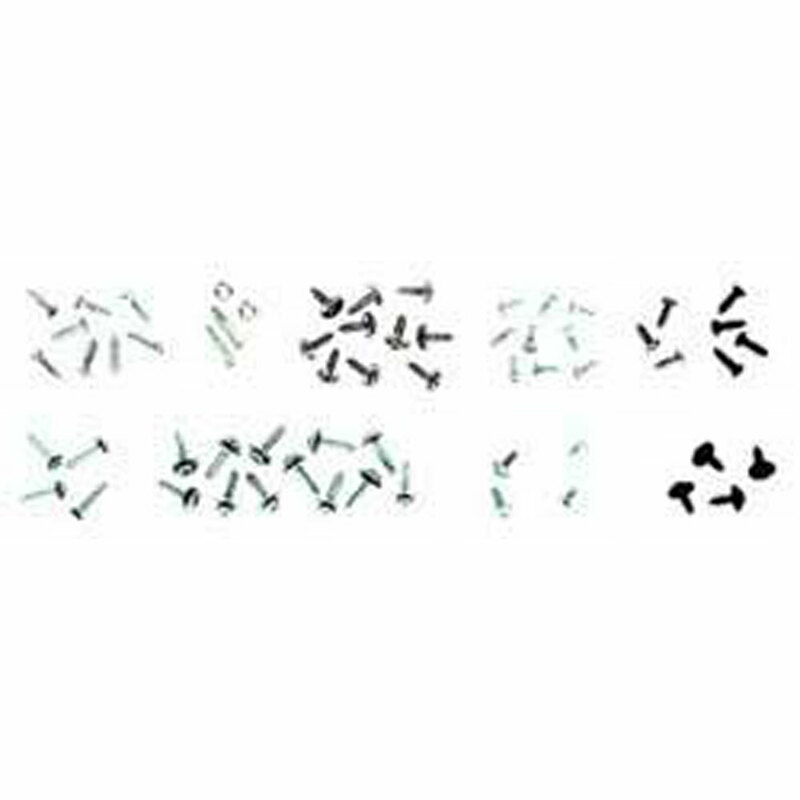 Classic Industries offers Chevrolet Camaro 2 Door Interior Screw Set, Chevrolet Camaro 4 Door Interior Screw Set, Chevrolet Camaro Hardtop Interior Screw Set, Chevrolet Camaro Coupe Interior Screw Set, Chevrolet Camaro Convertible Interior Screw Set, Chevrolet Camaro Sedan Interior Screw Set,and Chevrolet Camaro Truck Interior Screw Set. Reproduction of the chrome screws to attach the pillar post moldings on all 1968-69 Camaro models. Sold in a set of four for both moldings. Reproduction of the chrome screws to attach the pillar post moldings on all 1967 Camaro models. Sold in a set of six for both moldings. Reproduction of the rear hatch screw and nut set for 1982-92 Camaro models. 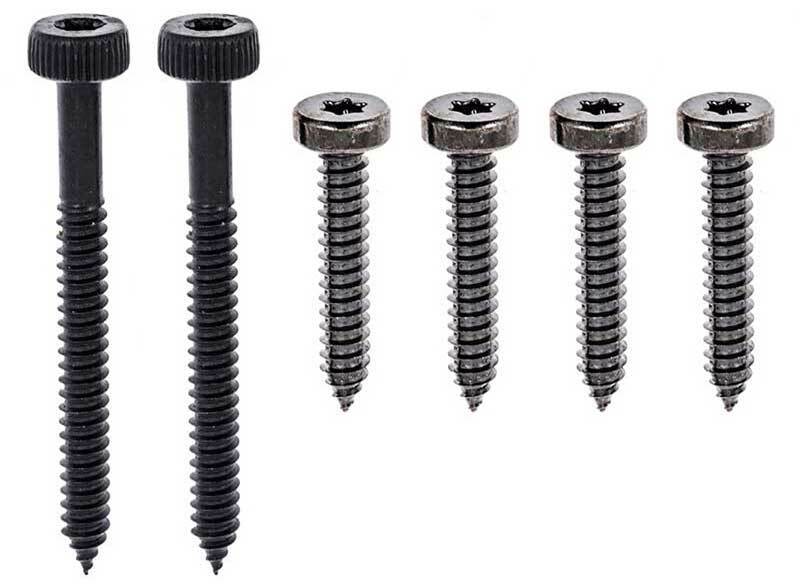 This set of 6 screws and 6 nuts is for attaching the moldings around the inside of the rear hatch area. Reproduction hardware set for 1969 Camaro RS. This hardware mounts the outer door to the inner door. Set of 4 enough for both doors. 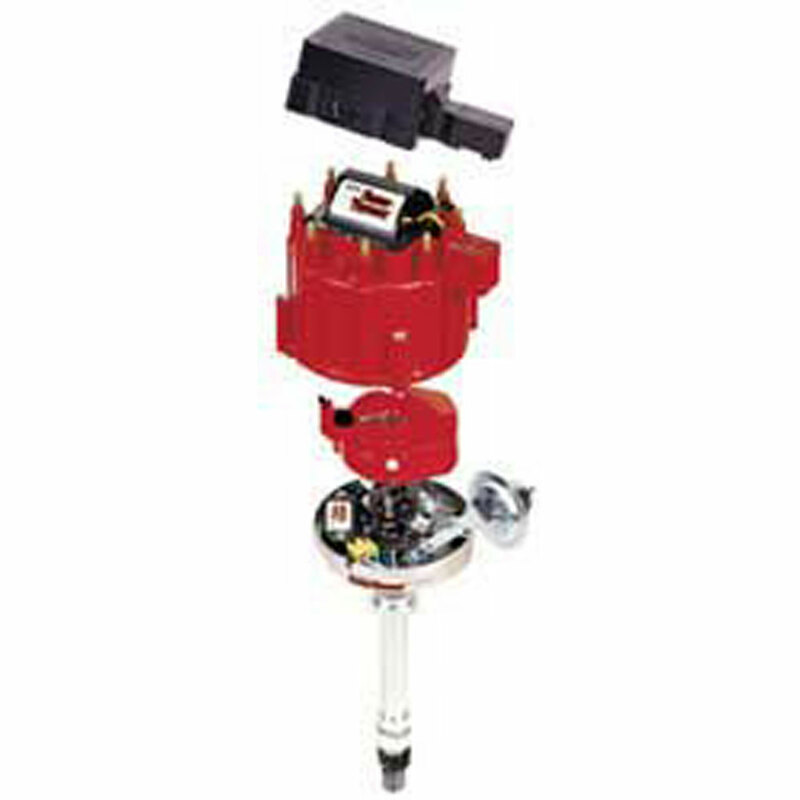 Reproduction astro vent screw set for Camaro / Firebird models. Screws to attach astro vent ducting to cowl. 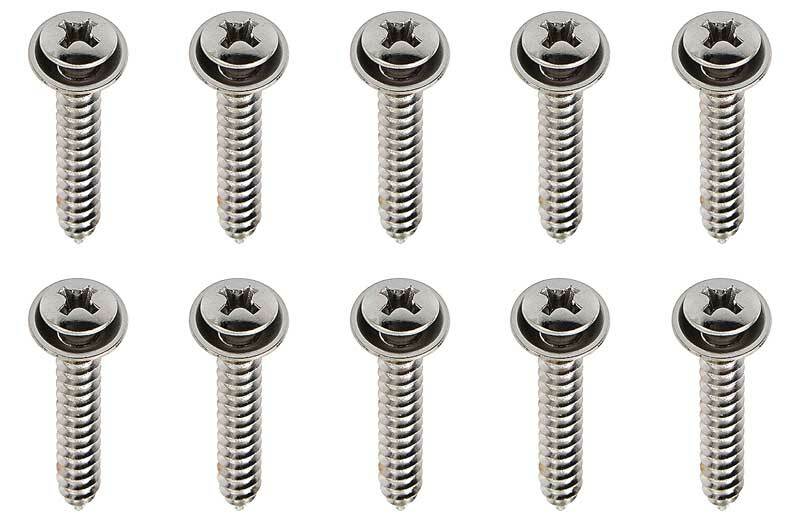 Features 3/4" oversized flat head with original size thread and is silver cad plated. Reproduction radio retainer screws for Camaro models that attach radio to the dash panel under the radio bezel. This special screw with a unique thread count is for original radios only.